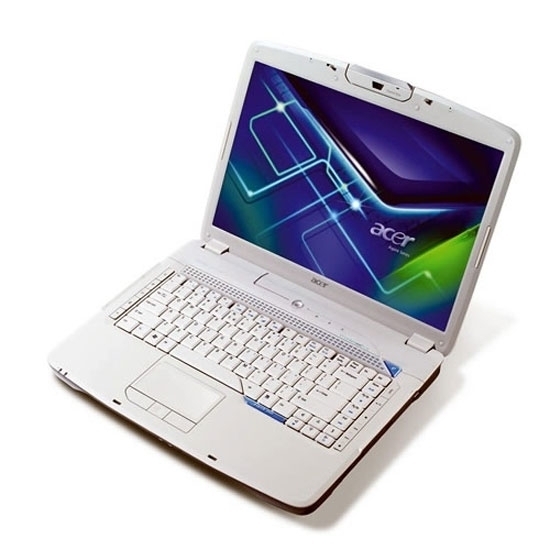 , Intel Core 2 Duo Processor T7700 2.4 ГГц. NVidia GeForce 8600M GT; видеопамять 512 Мб, TurboCache до 1280 Мб. Встроенный HD-DVD. Чтение: 24x CD-ROM, 24x CD-R, 24x CD-RW, 8x DVD-ROM, 8x DVD-R, 8x DVD+R, 6x DVD-ROM Double layer, 4x DVD-R Double layer, 4x DVD+R Double layer, 4x DVD-RW, 4x DVD+RW, 3x DVD-RAM, 1x HD DVD-ROM, 1x HD DVD-R, 1x HD DVD-RW, 1x HD DVD-ROM Double layer, 1x HD DVD-R Double layer, 1x HD DVD-RW Double layer; запись: 16x CD-R, 10x CD-RW, 4x DVD-R, 4x DVD+R, 4x DVD-RW, 4x DVD+RW, 3x DVD-RAM, 2.4x DVD+R Double layer, 2x DVD-R Double layer. Пульт ДУ Входит в комплект поставки. Кнопки Empowering, WLAN, Internet, E-mail, Bluetooth, TV, Acer Arcade, Acer MediaTouch. Вес ноутбука с аккумулятором 3.26 кг.